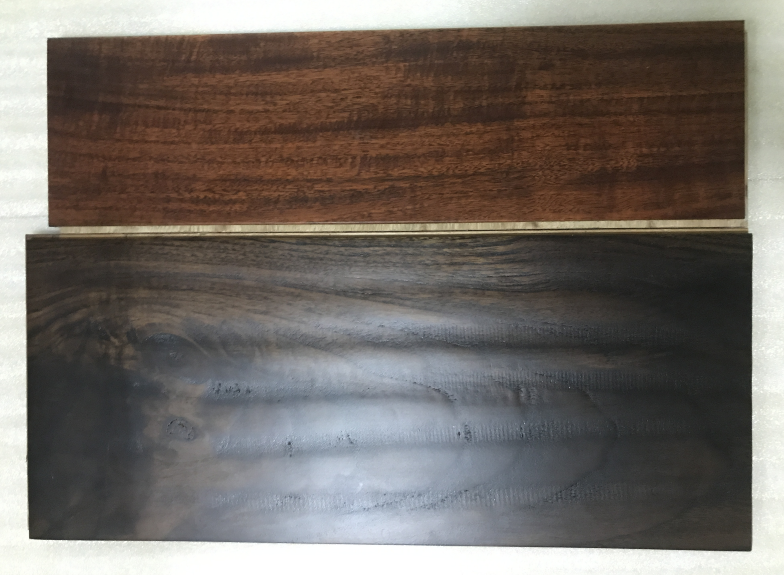 Plank size：6'x 7.5" x 3/5"
This innovative long & wide large plank acacia dark walnut engineered hardwood flooring comes in 6ft x 7.5" ( 1900x190mm ) plank size which is hardly find from common vendors in US unless custom made from ACACIA DEPOT.We source wide lumber cut in 3-4mm thickness toplayer to ensure long life span and better durability than common 5" plank in 2mm overlay. This magnificiant flooring is designed for few with higher budget applicated on high end big villa project,especially for those in pursuit of stunning individual interior decoration. Meanwhile, we are open to customer choice for 3.75", 5" & 6" wide plank as well, even increase the thickness of the engineered plank up to 19mm is possible.